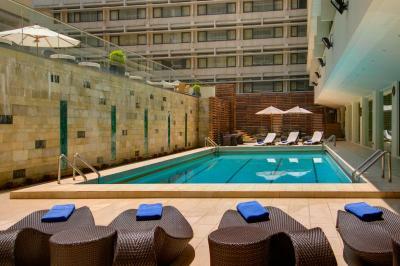 Lock in a great price for Marco Polo Hongkong Hotel – rated 8 by recent guests! The room was very spacious. Excellent for families. Excellent location. Lots of resturant choices. I've been to Hong Kong several times, I would say this is the best hotel yet. It ticks all the boxes for me. The Consiege was extremely helpful when confronted with my need to find an optometrist urgently to repair my glasses. He not only rang around until he could find a local one but then walked me to the building. The young porters were also very helpful coping with luggage. Staff was very polite, capable, and efficient. They attended to our requests in a timely and positive manner. 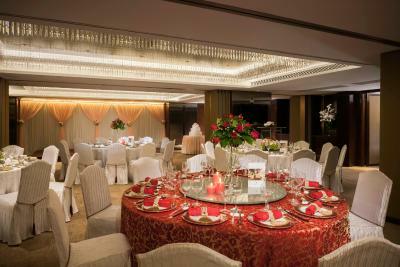 Marco Polo Hong Kong's location cannot be beat. 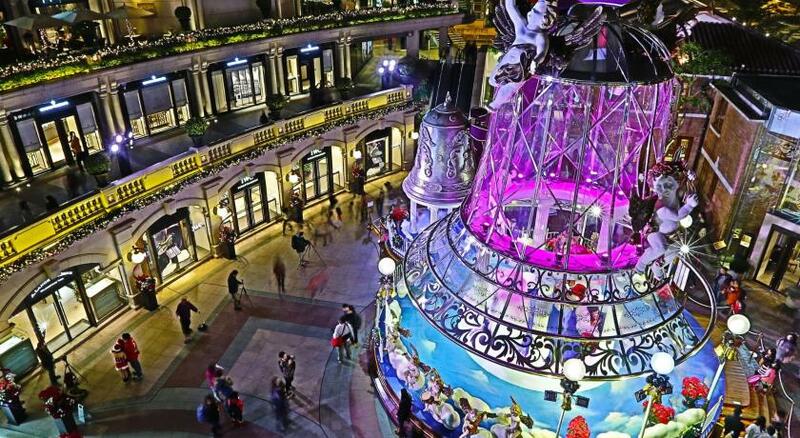 It is the ultimate place to be for shopping and eating. My husband and I have been going to this hotel for more than 20 years. The breakfast is very good. The location is probably the best among the hotels in HK. 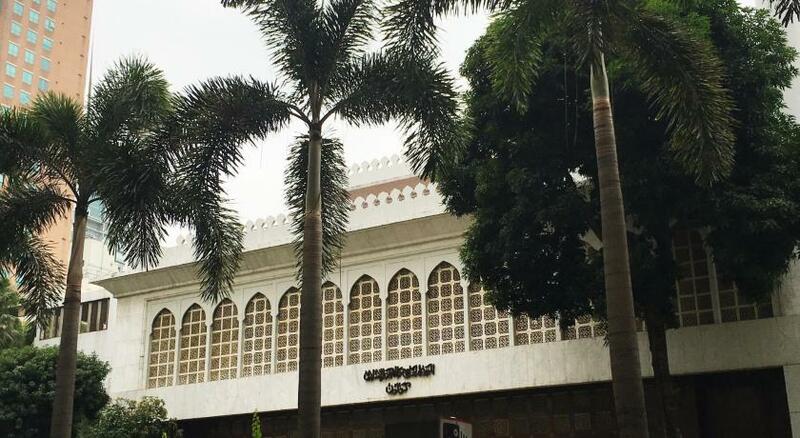 From here, you can do all most every thing you want for vacation and shopping. The staff are well trained for their job, and I can be sure that they all try to make your stay happy and conformable. By the way, the Italian restaurant on 6th floor is excellent for the sea foot, and I strongly recommend it to anyone who stay at this hotel. I will stay at this hotel again in future trip to HK. Excellent location. 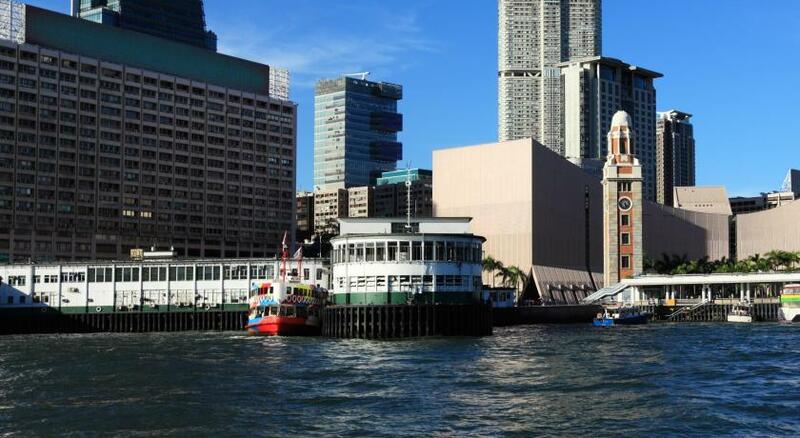 A short walk to the pier and MTR station. Prompt service staffs. Air condition was too cold but they can provide a portable heater as asked. 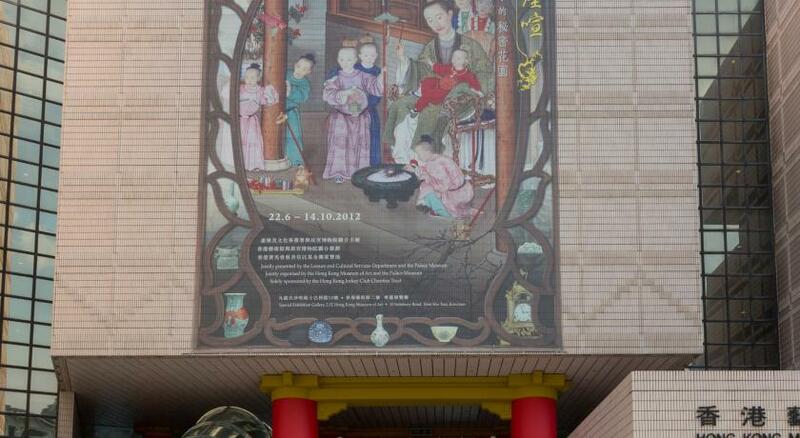 Would love to come back again. Room location - I could see the harbor lights esp during the 8pm light show. And the bed was very soft. Location of the property is the primary reason i always stay in this hotel every time I’m in Hong Kong. The housekeeping staff are reliable, efficient and accommodating even though they don’t understand English. They show good attitude by the way they work, how they attend to requests and how they make up your room. We stayed 2 nights with a baby and were provided with a baby bed. Staff are super nice and helpful. Room is spacious and beds comfortable. 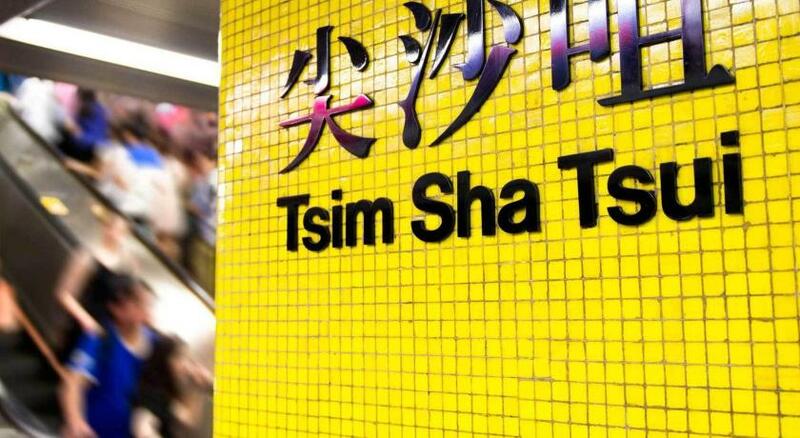 It's just a short walk from Tsim Sha Tsui East metro station, perfect for walking to Kowloon Park or taking the Star Ferry. 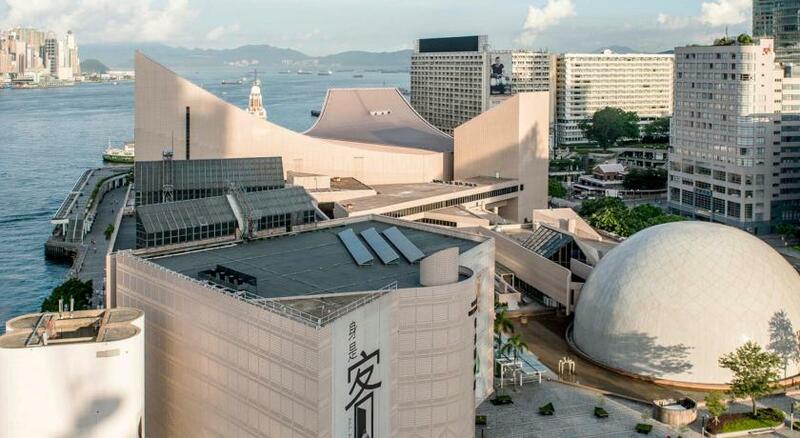 If you're there for shopping, the hotel connects directly with the Harbour City. We had a little incident in the middle of the first night, so they kindly upgraded us to a different room with breakfast included. Breakfast buffet I can say it's one of the best I have ever tried, with plenty of different options and very tasty, you won't leave hungry. The outdoor swimming pool in the 6th floor is a good place for relaxing, but it was getting chilly and we didn't have the chance to dive in. It would be nicer if the pool was heated. 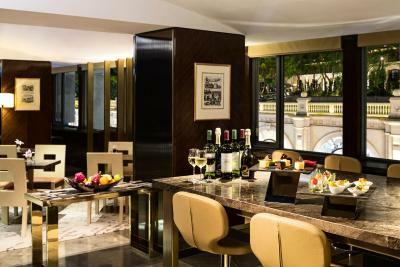 Marco Polo Hongkong Hotel This rating is a reflection of how the property compares to the industry standard when it comes to price, facilities and services available. It's based on a self-evaluation by the property. Use this rating to help choose your stay! 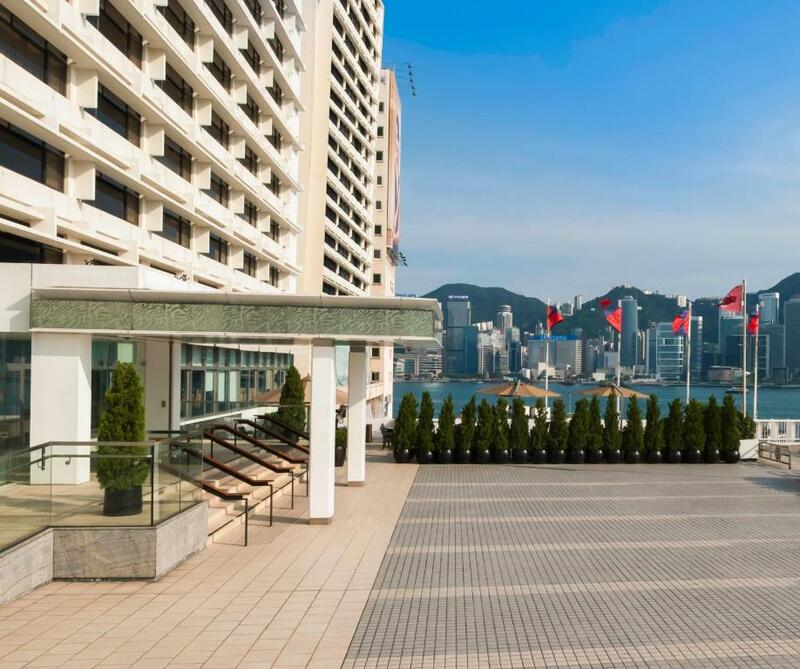 One of our top picks in Hong Kong.The luxurious Marco Polo Hong Kong offers well-appointed rooms with spectacular views a mere 1,050 feet from Tsim Sha Tsui MTR. 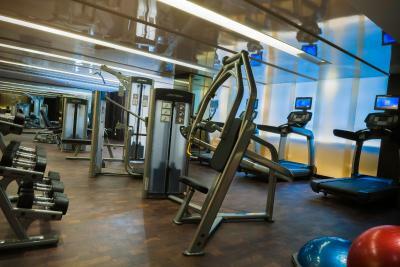 It features an outdoor swimming pool and a fitness center. 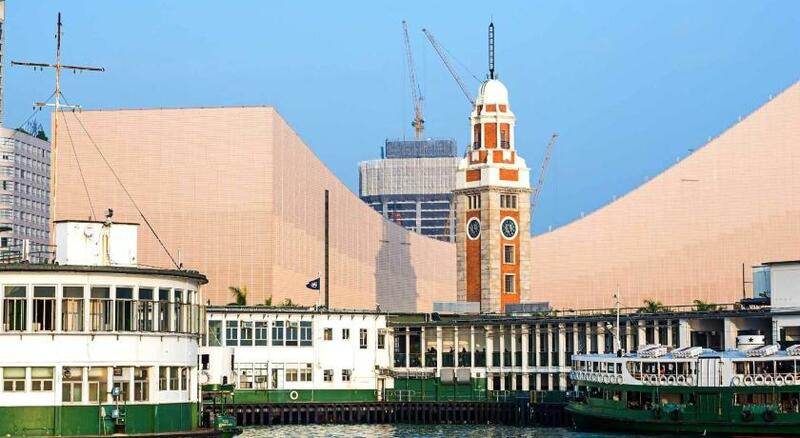 As a part of Harbor City which is one of the largest shopping complex, it provides easy access to Star Ferry and Hong Kong's cruise terminal. Located just along Canton Road, the The 5-star hotel overlooks Victoria Harbor and is within walking distance of Kowloon Park and Hong Kong Museum. 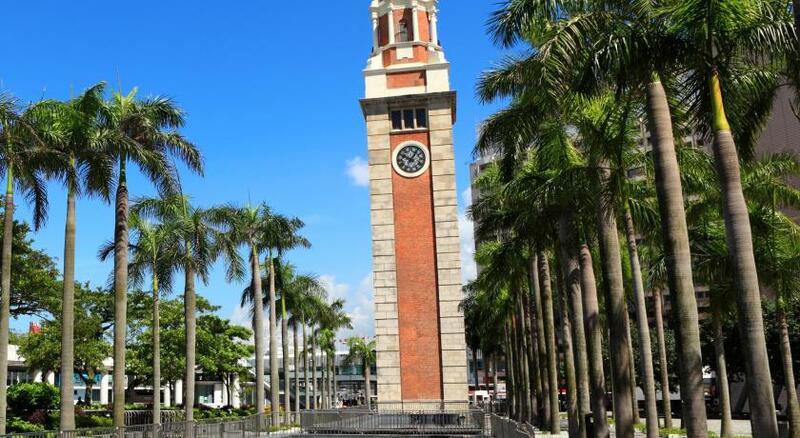 It is a 35-minute drive from Hong Kong International Airport. 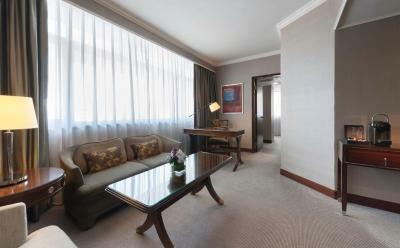 The spacious rooms at Hong Kong Marco Polo feature beautiful views of the harbor or Kowloon Peninsula. Each is equipped with cable TV, a tea/coffee maker and a mini-bar. Enjoy the journey in Hong Kong to the fullest with a complimentary smartphone for travelers with the power to keep guests totally connected while exploring the city. Built-in benefits include unlimited 3G mobile internet, unlimited local calls, international calls to 10 designated countries including China, Philippines, Japan, United States, United Kingdom, Australia, Germany, South Korea, Taiwan and Thailand and WiFi hotspot and tethering, dining and city guide and exclusive ticketing offers. 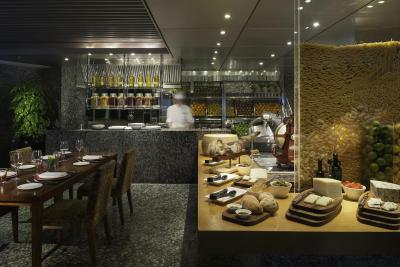 Marco Polo Hongkong Hotel features a lobby lounge and an authentic Italian restaurant Cucina. 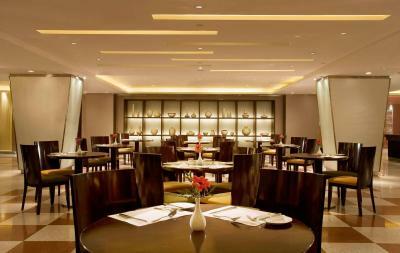 Cafe Marco, an all-day dining outlet, features a wide variety of gourmet cuisines from all over the world. 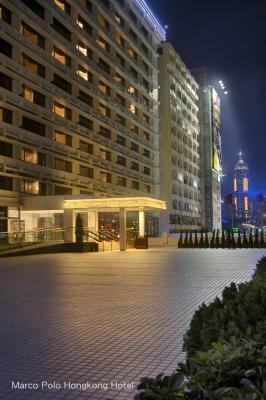 When would you like to stay at Marco Polo Hongkong Hotel? 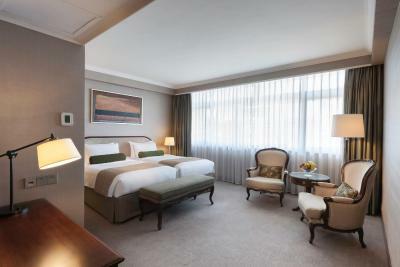 Located from the 7th to the 16th floors, modern air-conditioned room features free Wi-Fi and a flat-screen TV. Bathroom has a separate bathtub and shower. 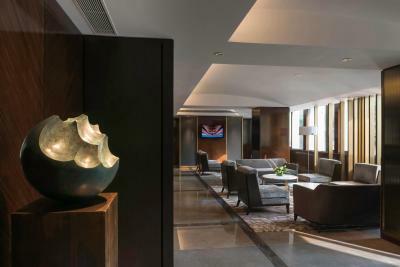 Located on the 17th and the 18th floors, modern air-conditioned room features free Wi-Fi, a flat-screen TV, Nespresso coffee machine and tea making facilities. Private bathrooms come with a separate bathtub and shower, toiletries and a hairdryer. Please note that this room is unable to accommodate any extra bed. 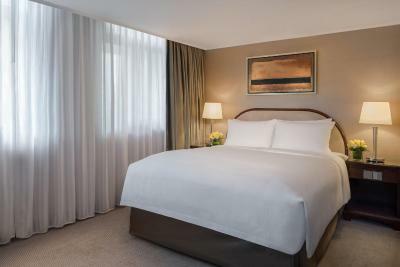 Spacious and modern, this air-conditioned room features spectacular views of Victoria Harbor and Hong Kong Island. Includes free Wi-Fi, Nespresso coffee machine, tea making facilities and a flat-screen TV. Bathroom has a bathtub. 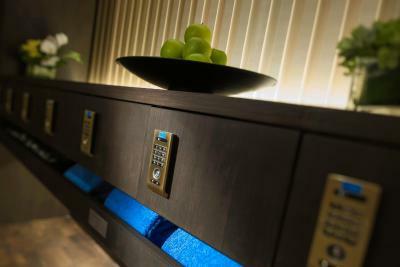 Located on the 7th to the 16th floors, modern air-conditioned room features free Wi-Fi and a flat-screen TV. Bathroom has a bathtub. Spacious suite comes with a walk-in closet, a seating area, iHome docking system, Nespresso coffee machine, tea making facilities and flat-screen TV. The private bathroom has a separate bathtub and shower. Toiletries and a hairdryer are provided. 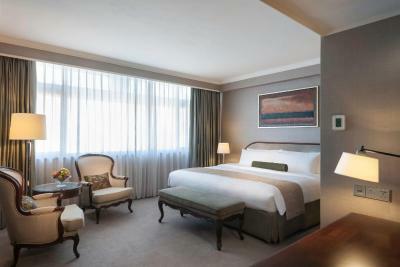 Modern air-conditioned room features free Wi-Fi, Nespresso coffee machine, tea making facilities and a flat-screen TV. Private bathrooms come with a separate bathtub, shower, toiletries and a hairdryer. Modern air-conditioned room features free Wi-Fi and a flat-screen TV. Bathroom has a bathtub. No extra bed is allowed. Modern air-conditioned room features free Wi-Fi and a flat-screen TV. Bathroom has a separate bathtub and shower. No extra bed is allowed. Modern air-conditioned room features free WiFi and a flat-screen TV. Bathroom has a bathtub. Room has 2 single beds or a double bed. Modern air-conditioned room features free WiFi and a flat-screen TV. Bathroom has a separate bathtub and shower. 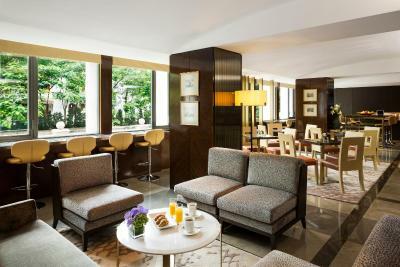 Spacious and modern, this air-conditioned room features spectacular views of Victoria Harbor and Hong Kong Island. Includes Nespresso coffee machine, tea making facilities and a flat-screen TV. Bathroom has a bathtub. Offers a free handy smartphone. 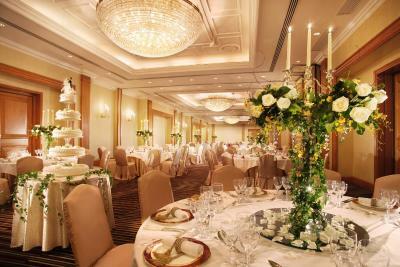 Please note that the benefits are applied to the paying guests only. 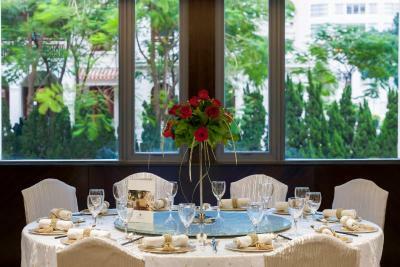 This air-conditioned room features spectacular views of Victoria Harbor and Hong Kong Island. 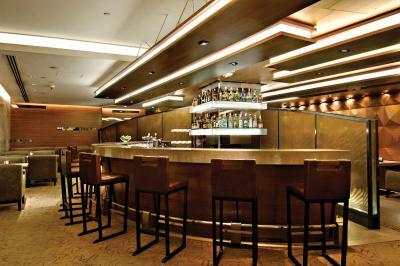 cocktails with Hors d’oeuvres, Coffee and tea throughout the day in club lounge. This room can accommodate up to 3 adults or 2 adults with 2 children (below 12 years old). This double room is equipped with air conditioning and an electric kettle. This double room has air conditioning, electric kettle and tumble dryer. Modern air-conditioned room features free Wi-Fi, a free smartphone, a coffee machine, tea making facilities and a flat-screen TV. Private bathrooms come with a separate bathtub, shower, toiletries and a hairdryer. This modern air-conditioned room features free WiFi and a flat-screen TV. The private bathroom includes a bathtub. 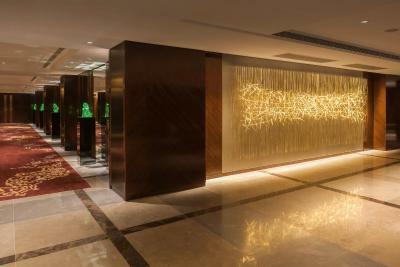 Located on the 7th to the 16th floors, modern air-conditioned room features free Wi-Fi and a flat-screen TV. Bathroom has a bathtub. Offers a free smartphone. 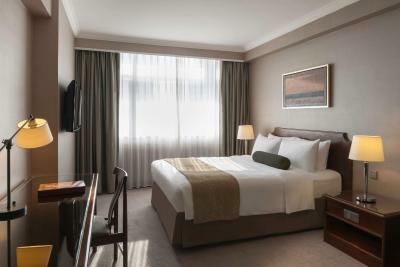 Located from the 7th to the 16th floors, modern air-conditioned room features free Wi-Fi and a flat-screen TV. Bathroom has a separate bathtub and shower. Offers a free smartphone. 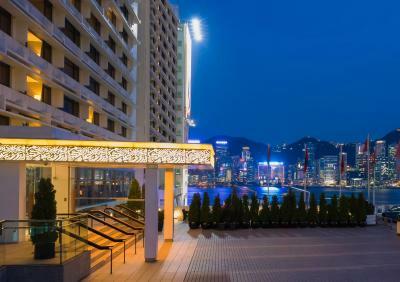 Spacious and modern, this air-conditioned room features spectacular views of Victoria Harbor and Hong Kong Island. Includes Nespresso coffee machine, tea making facilities and a flat-screen TV. Bathroom has a bathtub. Offers a free smartphone.